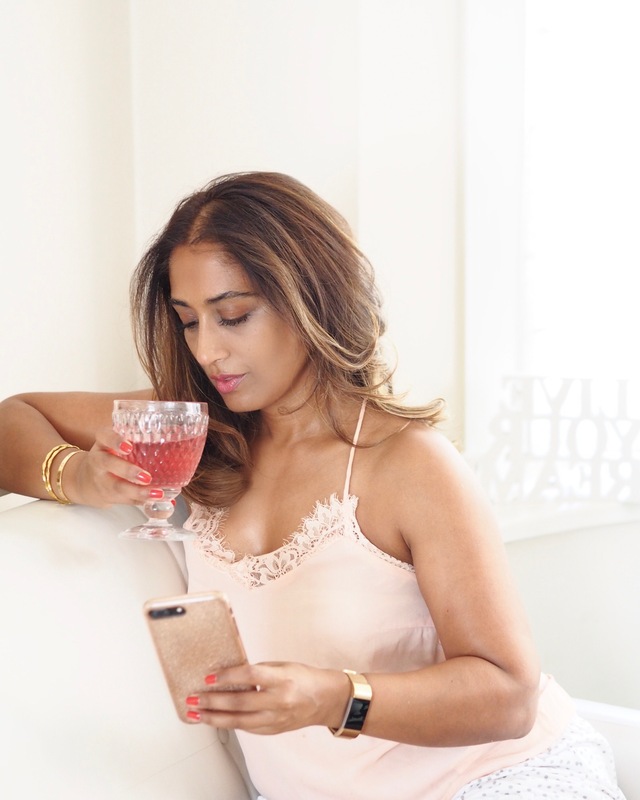 If you’re a regular reader here, you’ll know I’m a big fan of feeding my skin from within; in fact, you’re probably bored of my analogy of skin being the sandwich filling, with skincare being the top layer of bread and ingested nutrients the lower layer. 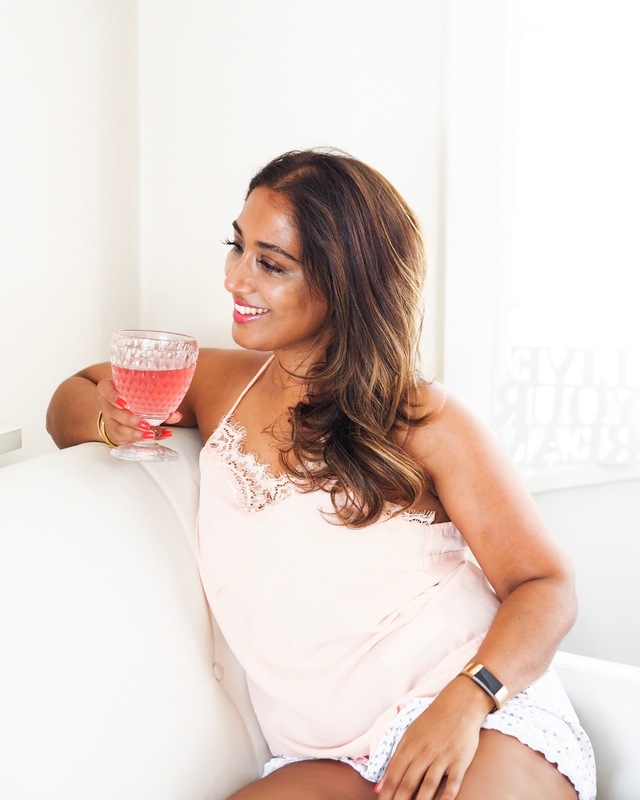 And you’ll also know how much I’m a fan of the daily Collagen Shots from Rejuvenated, (click here) to so you can imagine how excited I am to bring this giveaway to you. 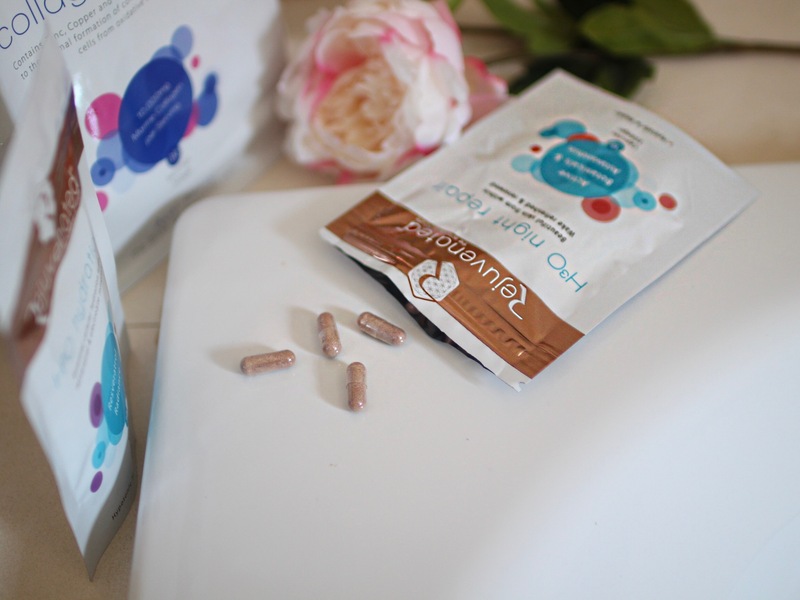 Head over to the end of the post to find out how to enter if you already know everything about collagen, hyaluronic acid and other skin supplements, or have a quick read through to find out a *tiny bit more if not. Collagen is an essential protein that is vital to good skin health and to ageing well. (It’s actually found throughout the body, in muscles, bones, tendons, blood vessels and even the digestive system.) In terms of our skin, it provides elasticity and firmness. As we get older, the body produces less and less collagen – just when we need it more…ah, the irony! Reduced collagen can result in an increase of fine lines and wrinkles, a reduction in the appearance of smoothness of our skin and suppleness too. 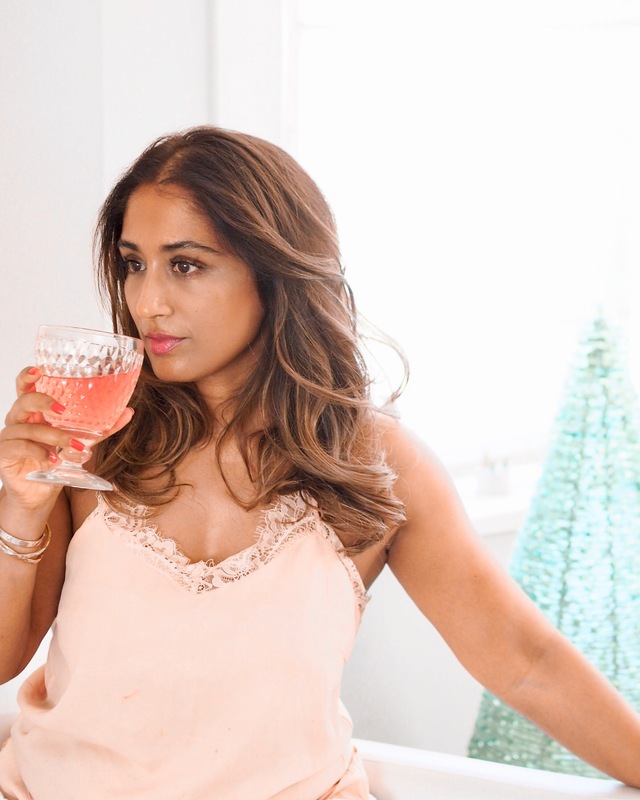 All the collagen creams in the world aren’t going to help you, as collagen cannot be absorbed by the skin, but here’s where supplementation comes in. Although 29 different types of collagen have been identified, types 1-5 are the ones mostly found in the body, with type 1 being the one mostly found in the skin. In the past, we used to supplement with bovine (or procine) collagen, but it’s since been found that fish collagen peptides are the most effective in supplementation: it’s better absorbed by the body and more easily digested (and is suitable for pescatarians, halal and kosher diets). So you can see why I add a Rejuvenated Collagen Shot into my daily nutrition. In fact you may already be doing the same. What you may not know, is that Rejuvenated also have a whole host of other products to help you feed your skin from within. Hyaluronic Acid is well known for its ability to hold over 1000 times its weight in water and it’s considered almost de rigeur in any new hydrating skincare product. So why not take it internally too? Rejevenated’s H3O Hydration, a powder that is easily dissolved in water (that I sip whilst at my desk) contains not only a good portion of Hyaluronic Acid, but also Ionic Electrolytes to help the body absorb the water more efficiently. It also contains Inulin, a pre-biotic essential for good gut-health, along with a whole host of other skin-loving ingredients. Ever since I discovered the wonders of Astaxanthin in a serum, I’ve been obsessed with it. A naturally occurring caretenoid, it is one of the most powerful antioxidants found in nature. It delivers a myriad of benefits throughout the body, (which you can easily google), but in terms of skin, it’s been shown to help improve skin moisture levels, elasticity, and smoothness while reducing wrinkles, freckles, and spots. By taking the H3O Night Repair, I get a healthy dose of Astaxanthin along with a whole load of other skin-loving goodies including Pine Bark (high in antioxidants), Vitamins A, B, C, D and E. I also love the fact that it helps to reduce early morning puffy undereyes – the bane of my life. 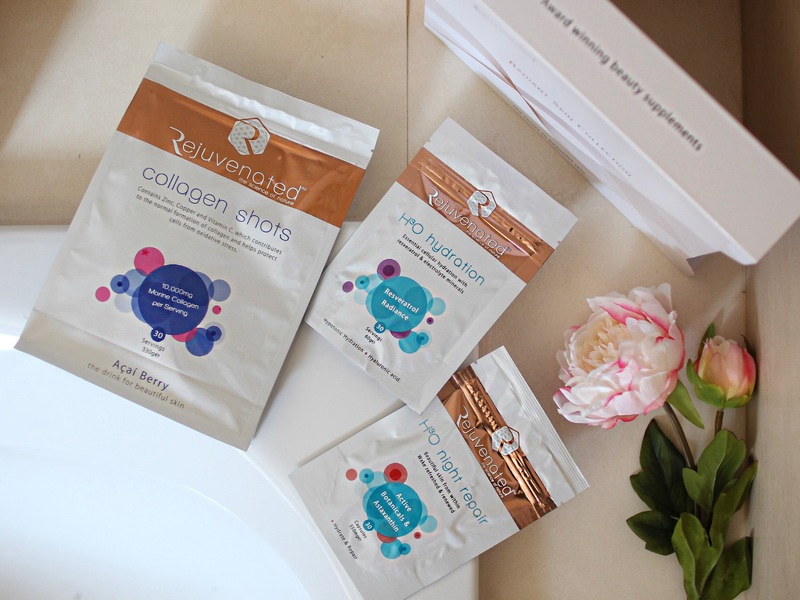 Well, Rejuvenated’s Radiant Skin Box, worth £87.50 contains a month’s worth of Collagen Shots, H3O Hydration and H3O Night Repair, and I have one to giveaway to one of you lucky lot! Leave a comment under my GIVEAWAY POST (and only that post), and tag two friends you think might also want to enter to win. For another extra entry, leave a comment here under this blog post. (Commenting on this blog post alone will not count as an entry – you have to have entered via Instagram first and foremost). Entries will close on Monday 13th August at midnight and the winner announced on Tuesday 14th August. PS – Rejuvenated have very kindly offered my readers a 10% discount when shopping on their website (check out their Protein Smoothies and Protein Soups too – I’m obssessed with them!). Head to www.rejuvenated.co.uk and enter the code “BP10” at checkout to get 10% off your order. I’d really love to win this. Excellent products – I’ve had them before & am thinking of going back to them. Winning would certainly kickstart me!